Booking a conference room offers convenience and allows all parties to gather at one place so that more can be accomplished in less time. When exploring your options for a conference room to hold an upcoming deposition or interview it is important to think about the features that you’ll need in the space. Is the Conference Room Wi-Fi and Technologically Capable? Conference Rooms should have available Wi-Fi connectivity. The ability to use laptops and tablets that are logged onto the internet are a must have for conferencing and recording of video depositions. Cost-effectiveness is another consideration that can guide you to the right conference space. When you are scheduling phoenix court reporting services for your meeting, a conference room may be available free of cost for added convenience. When it comes to video conferencing, it is important that the room has the necessary equipment in place to be able to record both audio and visual data. It is important to have features such as adequate seating, whiteboards, charts, Wi-Fi connectivity, televisions and monitors, and recording systems in place so that the deposition can be accurately recorded for future use by the courts. The conference room must be large enough to be ADA compliant. 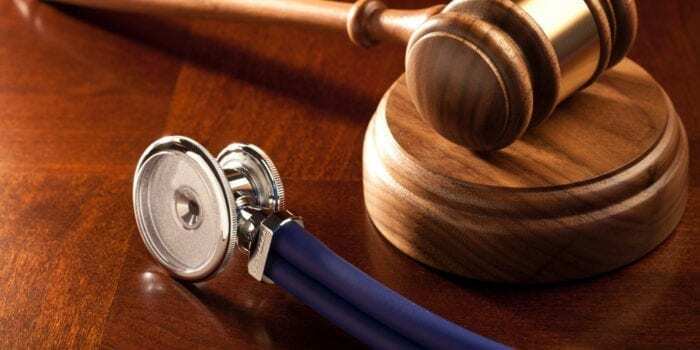 This means that there is room for all parties to be present and that all ADA guidelines are met in the way of confidentiality and professionalism. The right conference room will also be conveniently located so that it is accessible for all parties involved in the meeting. 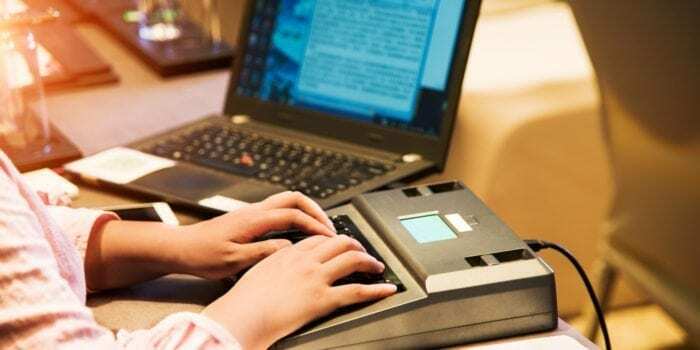 If your in need of Phoenix court reporters who can get any size job done accurately, affordably and the way you want it, then look no further . Call us today at 602-230-2499 or visit our websites schedule a deposition page. As a paralegal, part of your job entails preparing the client and other witnesses for deposition. In a written deposition, the deponent’s body language is not reflected on paper, and any evidence is evaluated only on the basis of the witness’s recorded words. However, in the case of video depositions, the deponent’s testimony also includes physical gestures and other visual cues that can be beneficial or detrimental to your client’s case. Giving evidence in any legal setting can already be taxing enough without the presence of videographers and lighting professionals. So as one might expect, a videotaped testimony requires even more work, which invites a greater degree of stress. In addition to the regular deposition preparation process that you’d ordinarily carry out, you may also want to share a few tips with your client on physical appearance, body language, and vocal expression. While the focus of a deposition is the evidence that the witness presents, it is natural for the judge and jury to notice your client’s physical appearance when watching a video statement. Hence, it’s important to help coach your client on making a great impression during the video deposition. Your client’s clothing choices are crucial not only for the viewing audience but also for the overall video quality, so encourage your client to wear clothing that is both comfortable and professional. Likewise, it’s best to encourage your client to avoid loud colors or wild prints. Plain pastel colors are excellent choices because they help the videographer achieve color balance. Good posture is always encouraged in formal settings. The same applies to video deposition. Your client should look as comfortable and natural as possible while also displaying confidence and professionalism. Be cognizant of facial expressions – The client’s face will be the focus in a video deposition. Accordingly, your client should avoid eye-rolling, brow knitting, and other facial expressions that may distract the viewer or send the wrong message. Avoid fidgeting – Fidgeting is often associated with nervousness. Unfortunately, a nervous looking witness may be viewed as being someone with something to hide. Despite the anxiety that most individuals experience when sharing evidence, you want to encourage your client to avoid fidgeting. Avoid excessive hand gestures – Similar to fidgeting; gesticulation can be distracting. In your preparation time, it may help if you videotape your client so that he or she has a better understanding of their general appearance on camera. Ultimately, your aim is to help the client understand that their body language can significantly alter the way that a judge or jury interprets the evidence. Vocal expression is as important to a video deposition as the client’s physical appearance. A written transcript will not include the varying attributes of your client’s articulation. This is not the case when your client is giving evidence in a video deposition. The long pauses, soft tones, elevated volumes, or frustrated tones will all be self-evident to the persons viewing the video. Encourage your client to remain calm and speak clearly. Video depositions offer multiple advantages when presenting evidence to a jury. They have the ability to bring the testimony alive, and many jurors are more inclined to watch a video deposition than to read a long transcript. However, in preparing your client for this type of deposition, don’t forget to highlight the pitfalls associated with appearance, posture, and articulation. Your job is to help the client avoid any such pitfalls. In doing so, you do a great service to both your client and employer. As a court reporter, I’ve seen firsthand the extent to which video testimony can improve depositions by cutting costs and improving trial effectiveness. 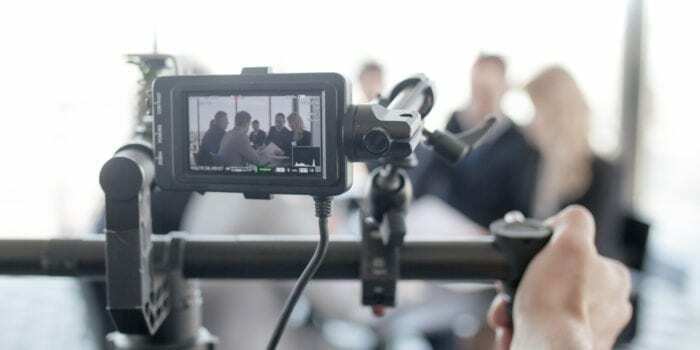 Indeed, this has a lot to do with the rising popularity of the practice and it’s why you, as a paralegal should familiarize yourself with best practices for video depositions. Video depositions are quickly becoming commonplace in litigation. While the attorney and the witness are the stars of the show, the paralegal has an important role to play in several aspects of the video deposition, before and during the procedure. 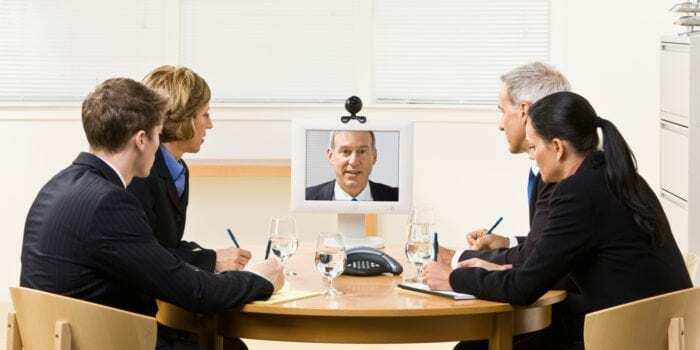 Here are several ways the paralegal can help the attorney manage a successful video deposition. 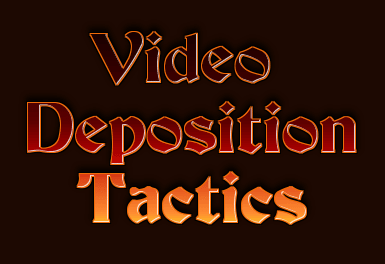 Preparing for a video deposition can be an involving process. There are so many moving parts to manage and as a paralegal much of it will fall on your shoulders. Here are some of the steps that you may want to take to ensure that the ordeal goes smoothly. Getting Organized – You should have the file organized and know where to find everything, just in case the attorney asks for it. It’s also a good idea to familiarize yourself with the general order in which the questions will be asked. This can help you determine what ancillary materials may be necessary at the deposition, such as prior pertinent depositions by the witness. Secure the important parties – Paralegals are also tasked with ensuring that important parties attend the deposition. This includes contacting and possibly subpoenaing witnesses, hiring a videography team, as well as the court reporter. Choosing a Room – The room that you conduct the deposition in will need to be large enough for the stenographer and videography team, along with the attorneys and the witness. You will also want to make sure that the room has comfortable seating, surfaces, easily accessible electrical outlets and good lighting (the video team will thank you for this later). Getting the Room Ready – After you’ve chosen a room you can begin making it comfortable. A big part of this is stocking the room with beverages prior to the start of the deposition. You should also work to create an unobtrusive background. Blank neutral colored walls are actually preferable. Also, make sure that any video that is taken is timestamped and dated. If you’d like, you could even ask the sound person to allow you to do a sound check prior to the start of the proceedings. Prepare the witness – Staring into a camera can be a frightening experience; even to the most outgoing of extroverts. This is why many paralegals often confirm that the witness is comfortable before starting the deposition preparation. The next thing that you want to do is guide the witness in how to remain focused throughout the process. Also, don’t forget to remind the witnesses to be truthful and polite and avoid being adversarial or anxious. When filming begins, don’t forget to keep those water bottles and cups away from the witness. A witness might play with a bottle cap or take a drink when questioning gets tough. This is exactly what you do not want to capture on video, so it’s best to try and avoid these situations altogether. Take thorough notes; observe the witness and the opposing attorney for nonverbal clues. Paralegals should listen intently and think on their feet. A witness or an attorney could expose relevant and material facts during a deposition that may have been missed elsewhere. Remind the attorney that the camera is always rolling and everything is on the record unless the parties agree to go off record. The microphone may pick up any side conversations, even when you’re not directly in front of it. In this day and age, it’s important that paralegals be prepared to coordinate video depositions. The good news is that if you can use the tips above to help anticipate the needs of the witness, while also giving careful consideration to what’s ahead of you, handling these sorts of depositions through completion should get easier over time.